This wooden building blocks memory set offers a unique alternative to the traditional guest book. 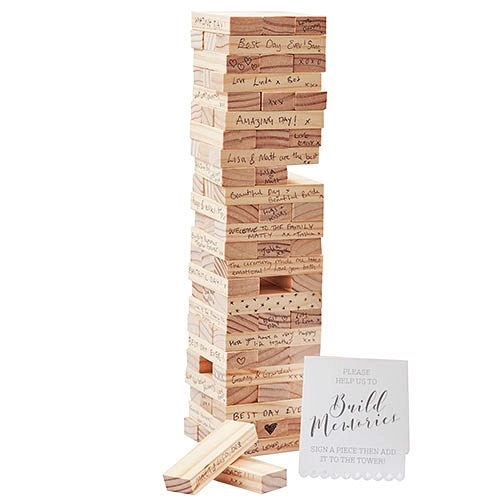 Invite your guests to write their names and well wishes on a wooden block and add it to the memory tower. Not only is this great fun on your special day, it is the perfect keepsake for the many years that follow. Includes 72 MDF-wood blocks. A pen is not included.